There is no doubt that this model is currently one of the most fashion forward TV sets in its class. Those who wish to access online content at affordable price should consider getting this TV. This affordable TV gets everything right, from design and performance to smart TV features and picture quality. We must accent the video quality and the general performance of this TV as its amazing advantages. 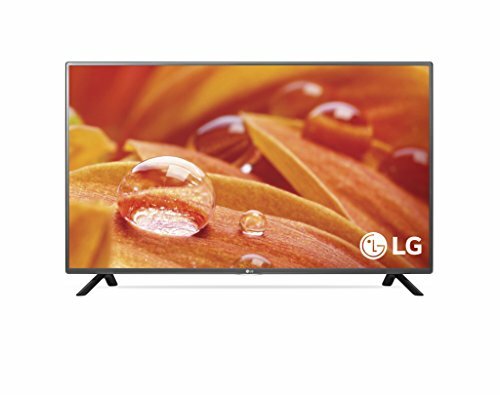 Even though this model can’t compete with other large sized Smart TV sets, the LG Electronics 32LF595B is still capable of delivering a number of attractive features which make it standout from some other TV sets of similar sizes. This TV’s integrated WiFi allows its users to connect to their network and access all their favorite streaming sites such as YouTube and Netflix. With its compact, sleek LED design, this TV is also ideal for bedrooms or other more intimate spaces of your home. On top of all this, the powerful processing unit of this TV makes it ideal for heavy gamers. Overall, you won’t regret buying this great TV set from LG as it is surely one of the rare television sets that gets it all right. As streaming sites such as YouTube and Netflix became extremely popular sources of online content, this model from LG not only provides that medium, but also gives you the possibility of customizing how you consume it. With LG Electronics 32LF595B you are able to configure your own LG home interface with your favorite and most-used apps. This allows you to spend more time enjoying your favorite blockbuster movies and TV shows, and less time navigating. Not only that this Smart TV eliminates the hassle of having to bring your laptop to your bed with you while catching up on TV shows and episodes, but it also allows you to control your LG Smart TV with some compatible mobile device, such as tablet or smartphone. By easily and simply downloading the LG Remote App, you can turn your smartphone or tablet into a handy, practical remote control. This TV’s 720p HD resolution displays pictures which are smooth as well as busting with color. This model boasts a dynamic color enhancer providing incredible picture quality which really outperforms standard definition. Also, you can choose between several picture modes available with this TV, and switch from one picture mode to another easily. The cinema option is probably the most attractive amongst all the color modes as it produces amazing balance between the color, contrast, and brightness. In comparison to LG Electronics 32LF595B’s close rivals, this TV is in a class of its own regarding the performance. The main highlight of this TV set is the quad core processor. This is due to the fact that very few 32’’ TV sets boast a similar processing unit. Such a powerful processor allows this TV to handle lots of tasks without any effects of performance, problems, or difficulties. Another interesting and fun feature is the LG Content Share and Screen Share technology which allows users to share content like pictures and videos wirelessly to other devices such as smartphones and tablets.